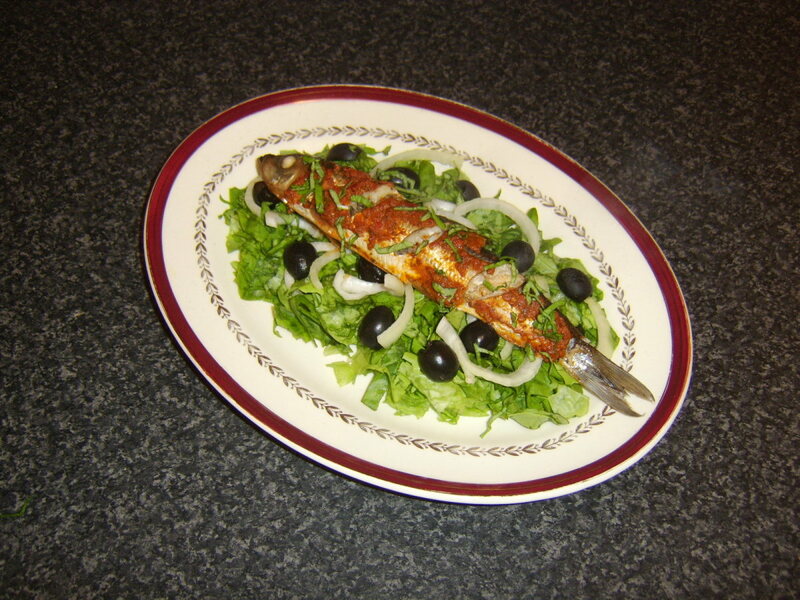 Dressed Herring, or Herring Under a Fur Coat, is one of the most popular Russian holiday dishes. 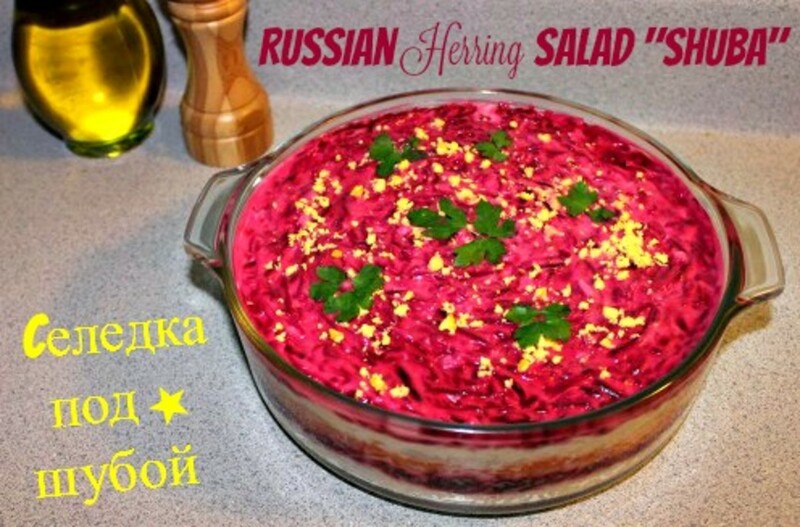 5 stars from 1 rating of Russian salad "Shuba"
Russians love to celebrate in a grand, almost carnivalesque manner, and New Year's is the biggest holiday of the year. Every December 31 my mom (and millions of other Russian moms) would cook an entire legion of hearty super-delicious dishes meant to not only feed but AMAZE guests and family. Shuba (or seledka pod shuboĭ in Russian) was the crowning glory of the table. 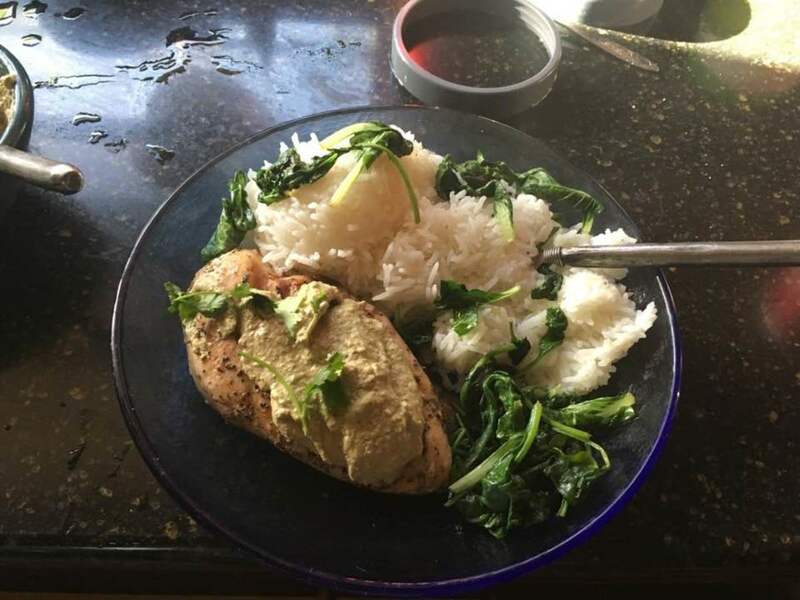 This is my favorite dish in the whole world, and I learned to cook it when I was around 11 years old. 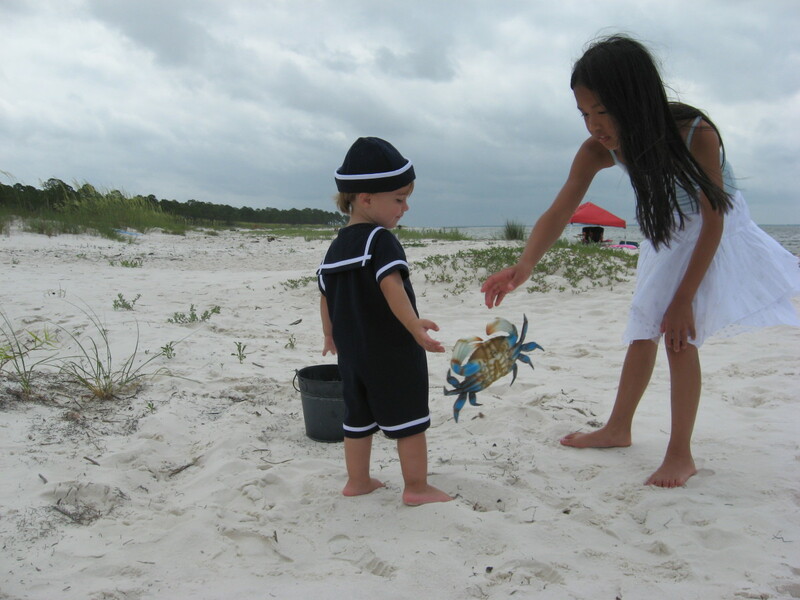 That's how easy Shuba is - even a child can make it. 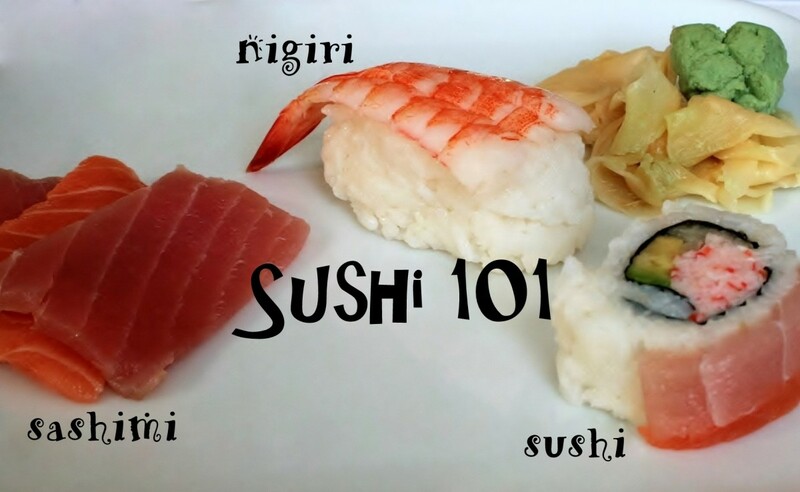 The preparation steps are numerous, yes, but they're not complicated. It's basically a lot of shredded veggies smeared with mayo and arranged like a layered cake. And another thing...about the herring. I realize that most Americans would not find the taste of pickled herring appealing. It's an acquired taste - like coffee or alcohol. But I still encourage you to try Shuba because the taste of herring is very diluted by other ingredients, and it's the combination of all the nuances that makes Shuba taste so great. Ask any Russian! The biggest problem with pickled fish - it smells like pickled fish. First step is boiling the vegetables (beets, carrots, potatoes) and the eggs. 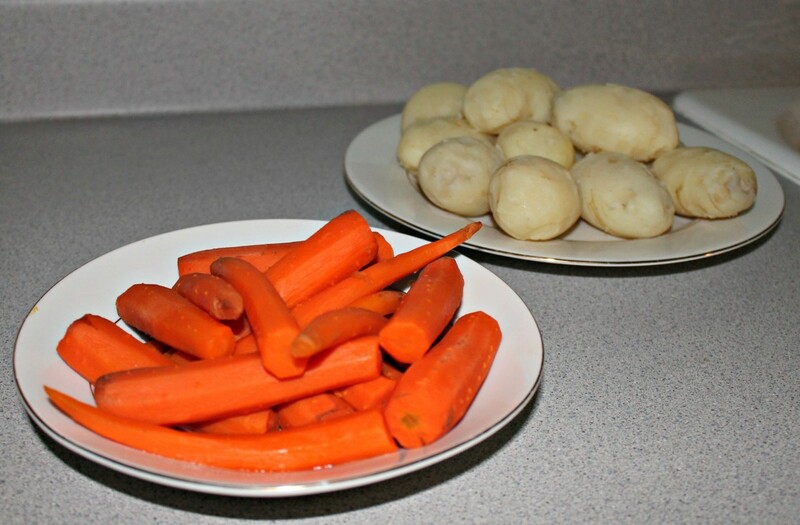 You can boil potatoes and carrots in the same large pot, but they do take different preparation times. The carrots will take about 15-20 minutes, potatoes - about 40 minutes. Boil beets in a separate pot because they tend to color everything they touch deep magenta. They take about an 1-1,5 hours to cook, or until they become tender enough for the knife to slide into them easily. The eggs take about 10 minutes to cook, after which place them in cold water - it'll make them easy to peel. When the veggies are ready, let them cool off. While the veggies are cooling off, prepare the herring and the onion. I remember when herring was a slippery stinky fish that took forever to clean, de-gut and de-bone. 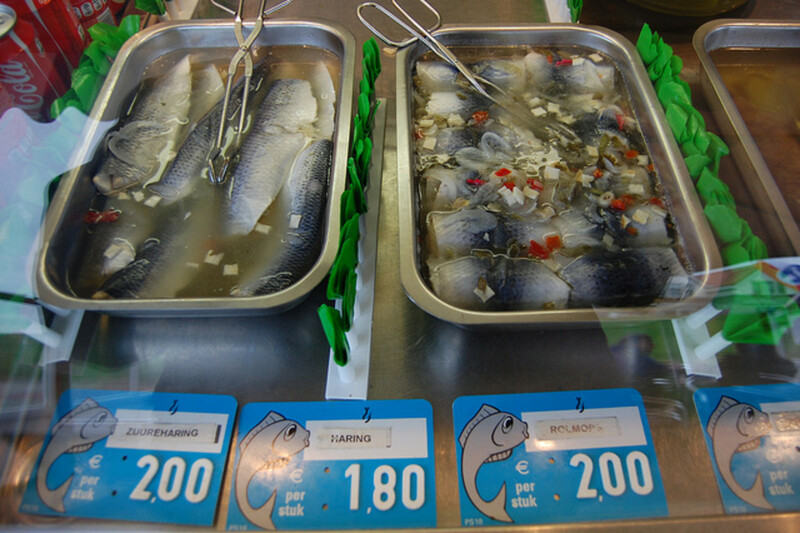 Nowadays herring fillets are sold in jars of oil, having very few bones and no skin. So all you have to do is chop the fillets into small pieces, and make sure to do it on a special fish board, the herring is still very smelly! Peeled vegetables are ready to get shredded. When the vegetables are cool enough, peel them, shred them and place them onto separate plates. The same goes for the eggs - peel them, shred them, but save 1 yolk for decoration (optional). At this point you should have 5 or 6 plates in front of you with chopped herring, chopped onion, shredded eggs, potatoes, carrots and beets. Vegetables and eggs are shredded and placed on separate plates. Now you need a jar of mayo and a deep salad bowl. I know it seems like a lot of mayo but trust me - dry Shuba is no good. Mayo is the glue that holds Shuba together and makes it moist and tangy, especially after letting it sit in a fridge overnight. Congratulations! You're ready to begin assembling your Dressed Herring masterpiece. 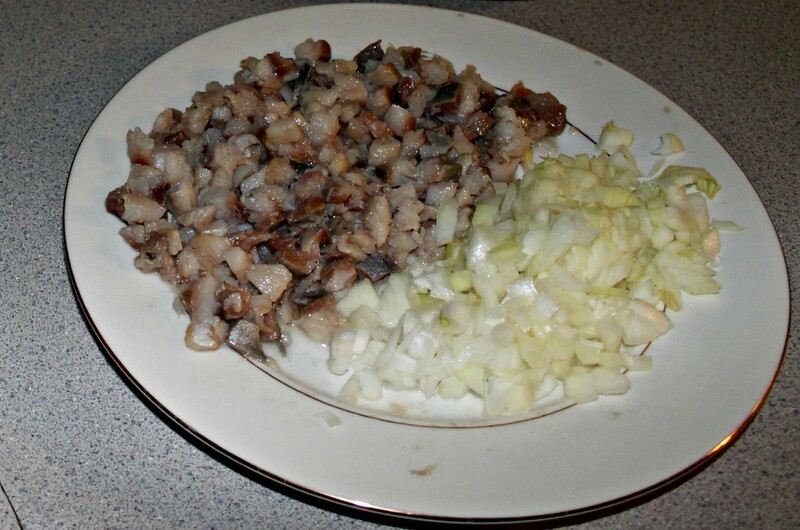 Layer of potatoes on the bottom, then herring, then onions. Every layer is smeared with mayo. 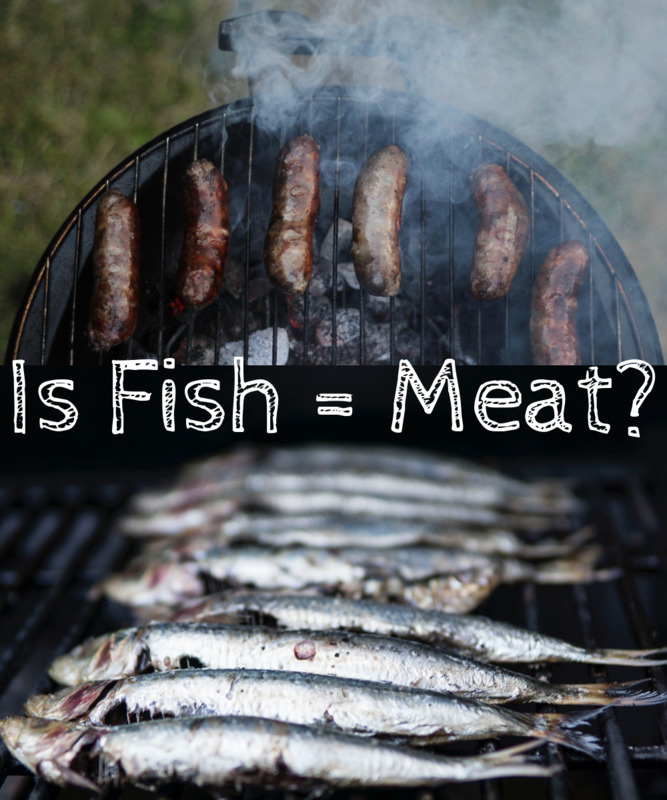 Tip: use the herring sparingly! You don't want it to overpower the dish. 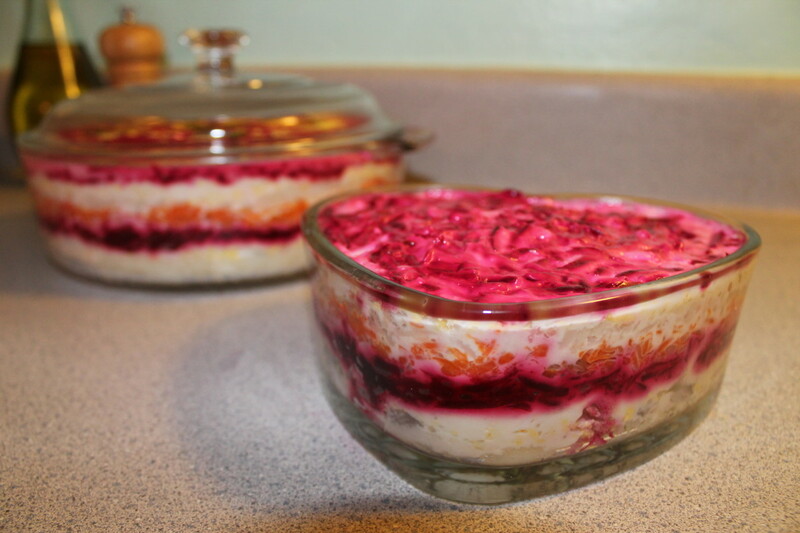 potatoes on the bottom, mayo, herring and onions, mayo, eggs, mayo, carrots, mayo, beets, mayo, potatoes again, mayo, and so on in the same order, so the top layer is beets. Basically, every ingredient is layered twice and you have a layer of beets on top, which will turn a pretty pink color once you put mayo on it. The potatoes will probably be the thickest layer. 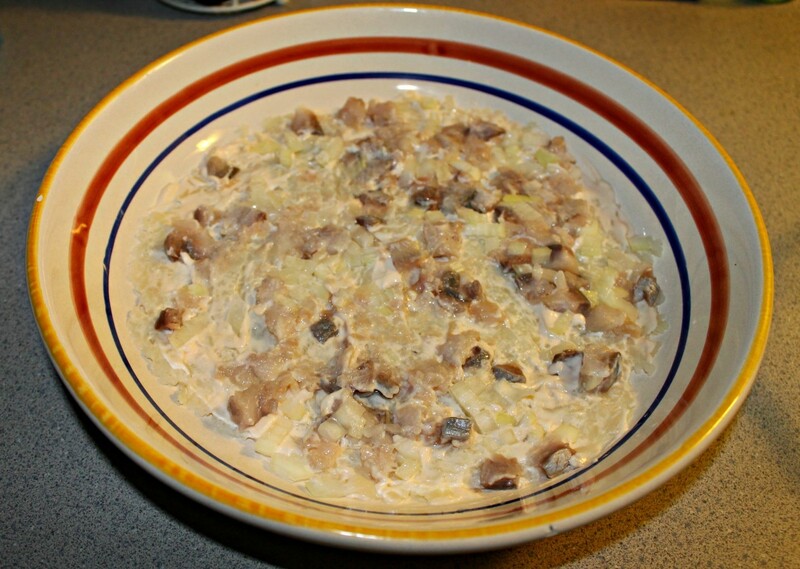 Herring and onions, because of their intense taste, should be layered thinly, more like sprinkled. Tip: before smearing the mayo, smooth down the veggies with the back of the spoon. This way the mayo will go on more evenly, and you won't need as much of it. The egg layer will be the hardest to apply the mayo to because hard boiled eggs are fluffy when shredded, so they will stick to the spoon. Just do the best you can. The great thing about Shuba is - it doesn't have to be perfect. It'll still look (and taste!) great. 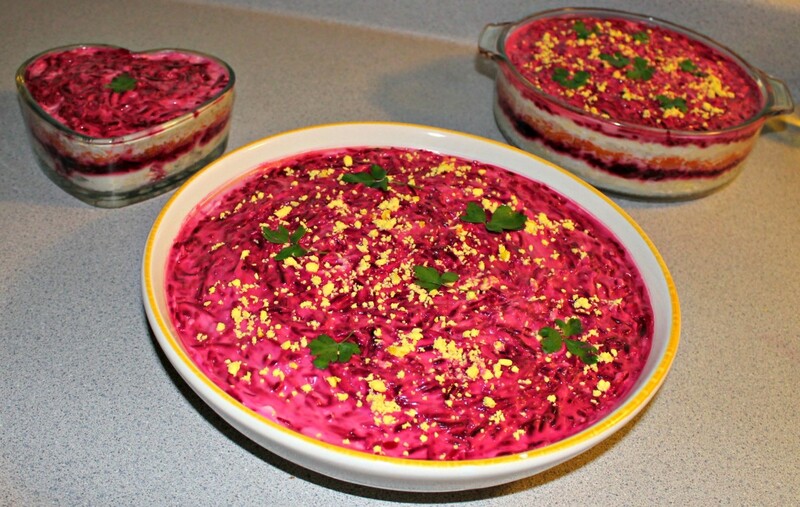 Every ingredient is layered twice and you have a pretty pinkish layer of beets on top. This step is optional - but I like it. Take that boiled yolk you set aside and crumble it over the top of your Shuba. Little yellow pieces look good against the pink canvas. Now garnish with parsley and refrigerate overnight. Refrigeration for at least a few hours in crucial so the mayo can soak through the layers and work its magic. Enjoy! I always make enough Shuba to feed an army. 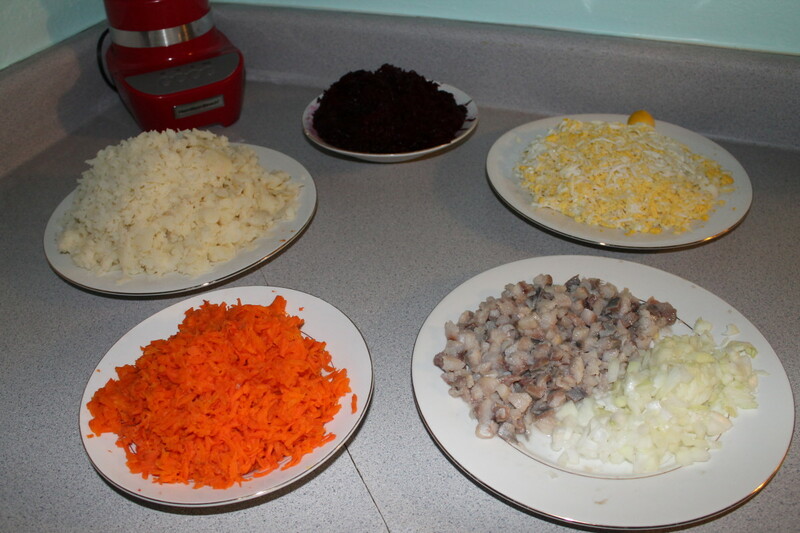 Looking for Another Russian Food Recipe? 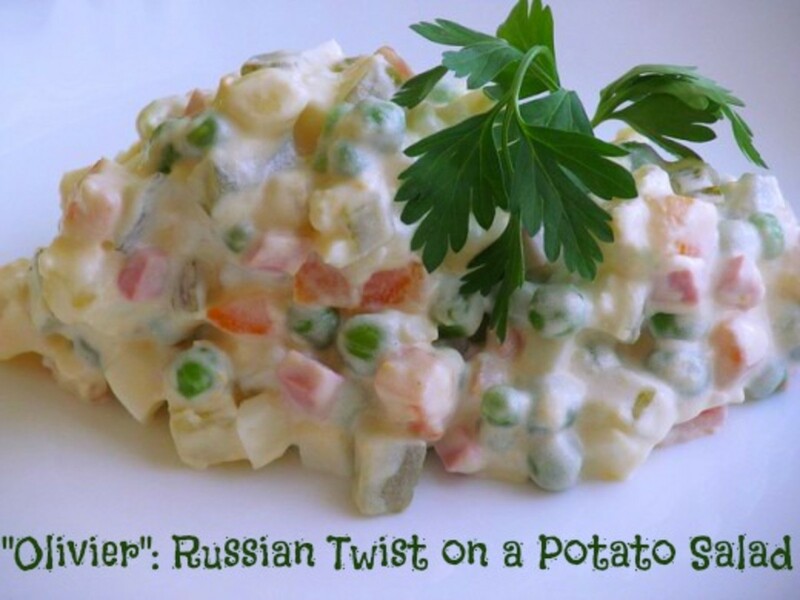 A step-by-step recipe for a traditional Russian potato salad with pictures, nutritional facts and the healthiest way to make it. The Healthiest Way To Make "Shuba"
"Shuba" is mostly a vegetable salad, so it's loaded with vitamins A and C, Calcium and Iron. But there are ways to make it even healthier. Buy organic! Root vegetables like beets, potatoes and carrots are some of the most vulnerable to chemical contaminants in the soil. Do yourself and your family a favor - spend a few extra bucks on organic food and save thousands of dollars on medical bills. 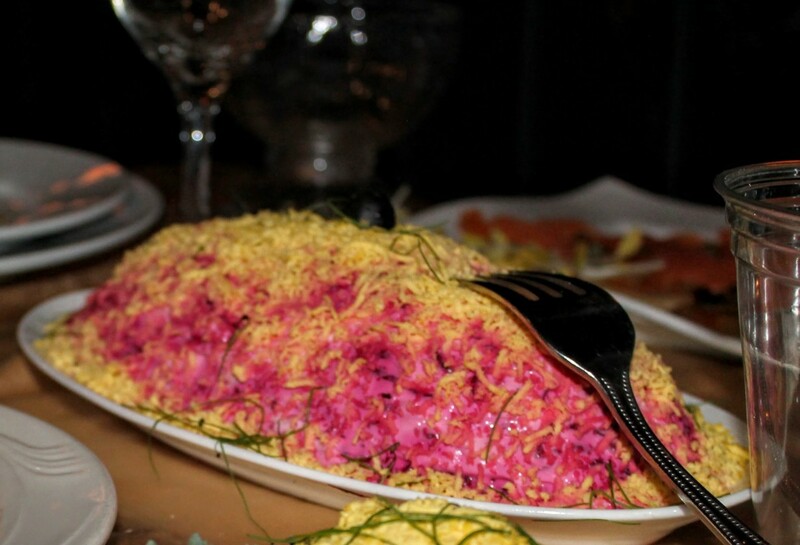 Another way to arrange Shuba is to "pile it on" a flat dish instead of a deep one. This is how they serve it in restaurants. All images in this article are my own work © kalinin1158. Please do not use without permission. What a wonderful looking salad. I've never had anything like this, but I love herring and the other ingredients too. Will be giving this a try! Wow. This recipe looks awesome. Thank you for sharing. You absolutely should! 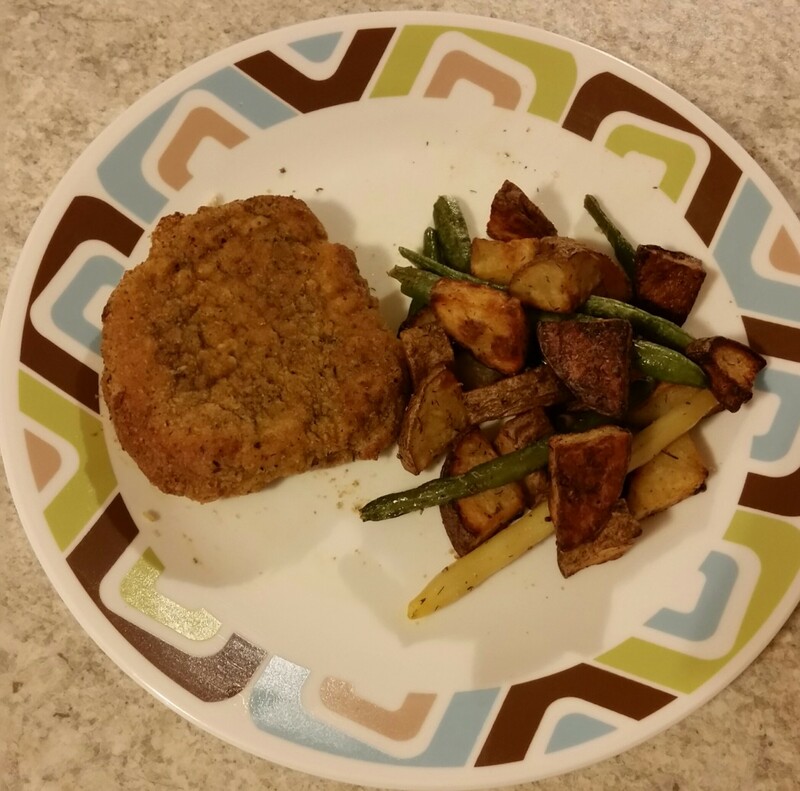 It's so tasty and nutritious, I've been craving it ever since I wrote the hub! And so easy and fun to make. 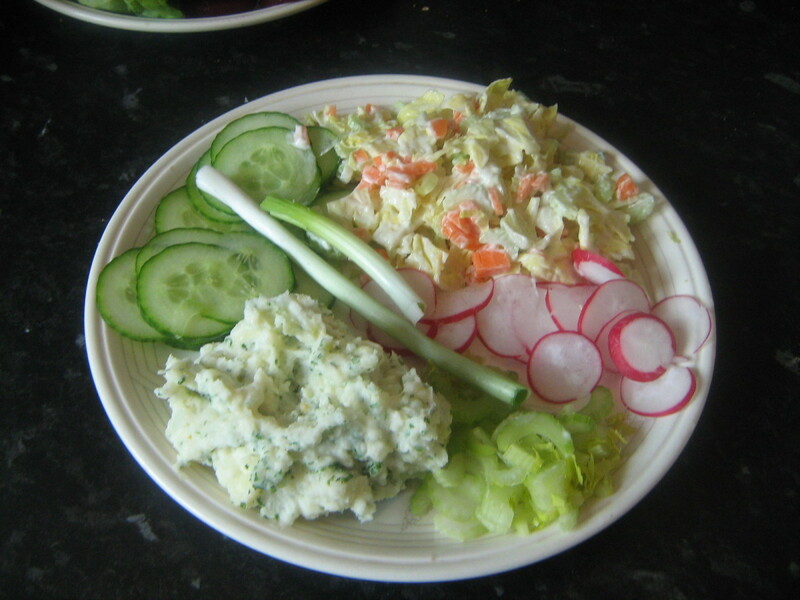 This recipe for the Russian salad shuba looks really good. The images of the salad look tasty and delicious. Now I want to try some. This recipe does seem pretty easy and simple to make.